A moment of profound connection between two species can sometimes reveal life’s purpose. That’s what happened to Jill Robinson. An unexpected touch from a bear became a turning point in her life and ignited a movement in Asia. Jill’s reputation as an animal advocate has been widely known for years. Indeed, in the late 1990s, while I was working to change the lives of five bears in Laos, she was rescuing hundreds in China and cofounding the charity Animals Asia. I met her for the first time in 2016, when she gave a talk in Perth, Australia. I eagerly purchased a ticket to the fundraising event, excited to meet the woman who is leading the compassion movement on the largest continent on earth – Asia. When the petite blonde with a wide smile began speaking, the hundred people in the audience fell silent as she described the roller coaster of emotional highs and lows of her work. No screenwriter could have created a better thriller – from the agony of discovering bears being tortured to the joy of their rescues. I laughed and cried as she delivered the most emotive speech I’ve ever heard. Jill grew up in England, and as a child she was a friend to animals – all animals. So, it wasn’t a surprise to her family when, at twenty-eight years old, she took a job with the US-based International Fund for Animal Welfare (IFAW) in Hong Kong. Her duties included investigating live animal markets in China, South Korea, and the Philippines; writing reports on the use of animals in traditional medicine; and establishing relationships with government officials. Six years into her job with IFAW, Jill was called to investigate a bear bile farm in Zhuhai, China. The experience was life-altering and fueled her passion to create global change for animals. In early 1993 I was telephoned by a journalist friend. He had just returned from a bear bile farm and described a scene of such devastation and misery that I felt compelled to visit and see for myself. I’d heard about bear bile farming but knew virtually nothing about the industry, and certainly nothing about the species of Asiatic black bears, called moon bears (named for the yellow moon-shaped crescent of fur on their chests), that were its victims. I asked two friends to come along with me, and pretending to be tourists, we joined a group of Japanese and Taiwanese visitors who were on a bus trip visiting the farm. We were taken to a bear pit, where breeding bears were put on public display. The group was invited to feed the bears by placing apples onto the end of crude fishing lines and dangling the fruit down into the pit in front of the bears. The bears were ravenously hungry and stood up on their back legs, desperately trying to reach out and grab the apples. Many visitors were teasing the bears, lifting the apples high into the air every time the bears were near to catching them. The more upset and stressed the bears became, and the more they fought with each other in frustration, the more the crowd laughed. We were then ushered to a shop where the farmer and his wife were boasting about the benefits of bear bile. While the farmers and tourists were occupied in the shop, we took the opportunity to quietly break away from the group and find the basement where the caged bears were housed. As we walked downstairs into the darkness, our eyes took some time to adjust in the gloom. The stench of disease and decay was all around us, and walking around the cages I heard odd “popping” sounds that grew increasingly louder the closer I walked to a cage. Seeing the bears close up, I realised that this strange sound was their vocalisation of fear: They thought I was there to harm them. Peering miserably through the bars, the bears had long scars across their bodies. Several had the ends of their paw tips missing; their claws had been crudely hacked away to make it less dangerous for humans to milk their bile. Several had teeth that had been cut back to gum level, exposing pulp and nerves. Others had head wounds from repetitive rocking against steel bars in their cages due to trauma-induced regression. Most shocking of all was the sight of crude metal catheters protruding from their abdomens, the horrific instruments of torture that had been surgically implanted into their gallbladders to milk them of their bile. Feeling shocked and sick to my stomach, I must have backed too close to a cage. I felt something touching my shoulder. I spun around in fright, fearing I was about to be grabbed by an angry and aggressive bear. What I saw next just about brought me to my knees in sadness. 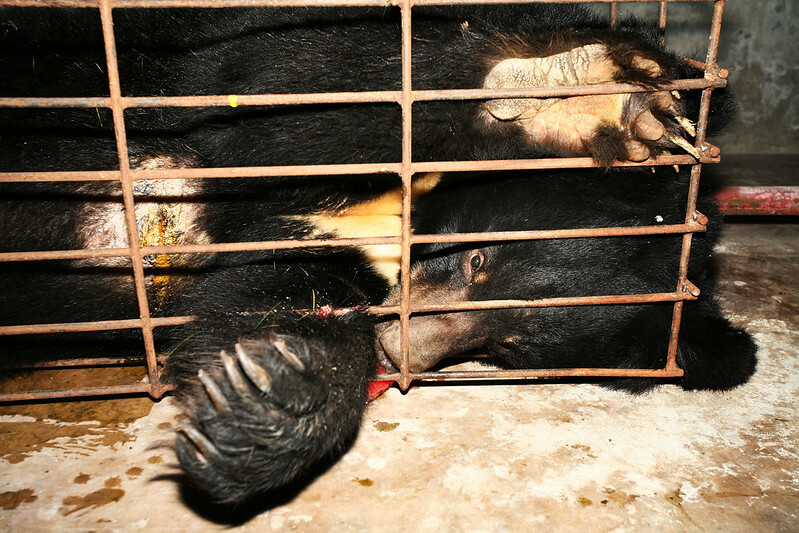 A female moon bear pushed her paw gently through the bars of the cage, inviting me to take it. In that moment, without fear or any reason to believe that she meant me harm, I took her paw. As hand and paw connected, the bear gently squeezed my fingers, and I was staring into the most beautiful dark brown eyes. At that instant, a message passed between us, and I knew that everything about my life had changed. From that moment, I knew instinctively that there was no going back. I made a promise to that bear that I would do everything in my power to end bear bile farming, and I set out to do just that. Jill named the bear Hong (Cantonese for bear) and began educating herself about the bile trade and the reasons why it existed. The Asiatic black bear is an endangered species, and bear bile farming is one of the reasons for its demise. The bile produced by the bear’s gallbladder is high in ursodeoxycholic acid. That acid is able to dissolve gallstones in people, without surgery, and has been used to treat gallstone sufferers for thousands of years. This medicinal application has created a black market for bear gallbladders. In 2002, an article in Legal Affairs magazine stated that gallbladders have sold for from $1,600 up to more than $55,000. And not just Asiatic bear gallbladders. Due to an insatiable Asian market for the organs, which arose primarily in the late 1980s and early 1990s, global bear populations have been targeted by poachers, including black, brown, grizzly, sloth, and even sun bears. This has prompted wildlife officials and advocates to reinforce laws to curb the illegal trade. 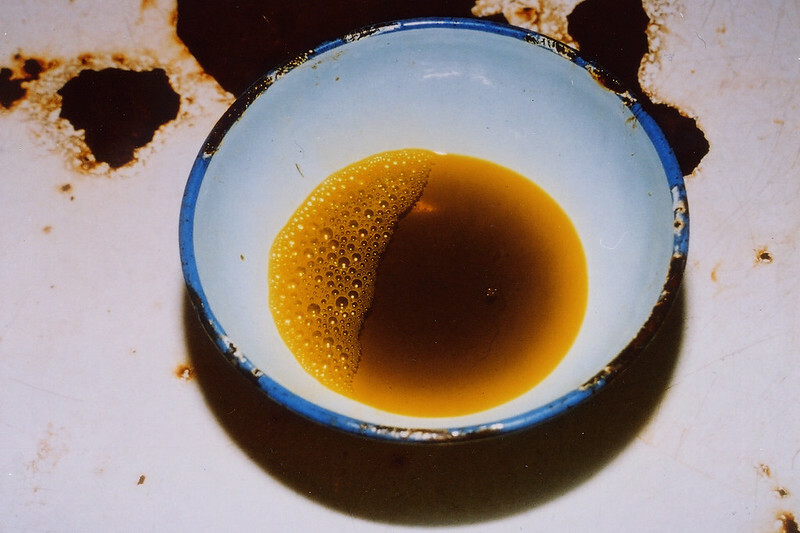 In the early 1980s, China picked up the practice of bear bile extraction from North Korea. The bears are captured alive and put into wire cages or fitted with full metal jackets to prevent them from moving. 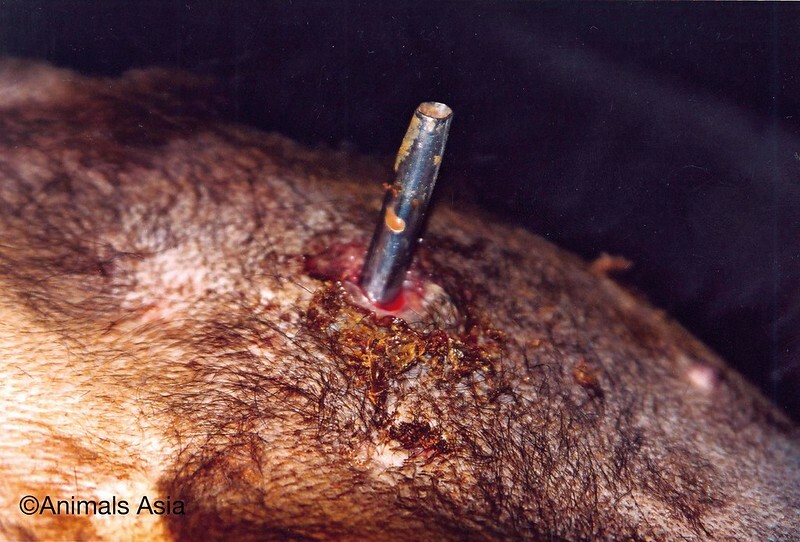 According to Jill, farmers then pay hospital surgeons to implant catheters into the animals’ abdomens or to perform surgical mutilation to produce the “free drip” method of bile extraction, which creates a fistula in the abdomen and gallbladder. The bears are then forced to live, hardly able to move, in “crush cages” for up to thirty years, or until they die of infection and/or disease. Most outrageous of all, the practice isn’t necessary, since drug companies make ursodeoxycholic acid synthetically. In 1998, Jill spearheaded a revolution and cofounded Animals Asia, a nonprofit with the goal of ending bear bile farming and improving the welfare of animals in China and Vietnam. Two years later, in 2000, Animals Asia negotiated a deal with the Chinese government to release five hundred bears from the bile farms with the worst known conditions. That same year, Animals Asia established the first bear rescue center in China. 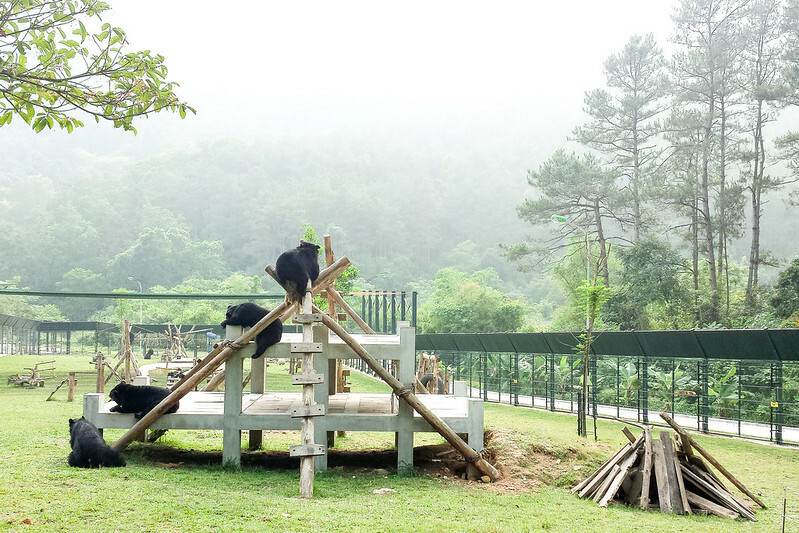 Seven years later, a second bear sanctuary was built in Tam Dao, Vietnam. And in 2014, after a bear farmer’s daughter convinced her father that what he was doing was wrong, Animals Asia took over the Nanning Bear Farm in Nanning, China, and negotiated the rescue of 130 bears. All this change was a direct result of Jill’s encounter with Hong in 1993. I went back for Hong, once I had begun building the first sanctuary, but the bears had been moved. I never saw her again. The events of the day we met are ingrained on my mind. I knew instinctively that there was no going back and that the present day and future would see me make good on my promise to Hong: That while I couldn’t help her, I’d do everything in my power to end bear bile farming in China and Vietnam. From this experience, I’ve learned never to underestimate passion and the power of the individual to make change. I’ve learned to be brave and face adversity if you have truth and justice at the center of all you do. I’ve learned to ignore those who bullied me and tried to deter my most committed and devoted team from changing the plight of the bears. I’ve learned that good people working from within would defend the bears and be the champions they need. And I’ve learned to play the game – calmly when impatient, intelligently when frustrated, and pragmatically when insane with anger. I always say to children in presentations that sometimes we receive a message in life that we can choose to listen to – or ignore. That decision can shape the rest of our lives. Hong’s message to me on that day in April 1993 was strong, profound, and impossible to ignore. Her inspiration began everything we have built in China and Vietnam today: two sanctuaries filled with over six hundred happy, healthy, rescued bears, and a foundation called Animals Asia, which has progressed a long way toward the goal of ending bear bile farming once and for all. Jill has orchestrated sweeping changes for bears across Asia. In response to Animals Asia’s work, the country of Vietnam has committed to ending bear bile farming by the year 2022. 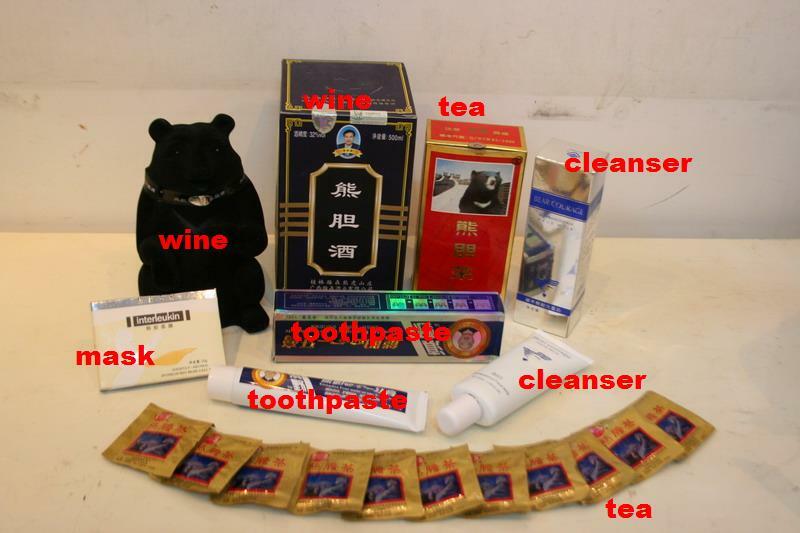 Additionally, the Vietnamese Traditional Medicine Association has agreed to remove bear bile from all prescriptions by the year 2020. In China, where more than ten thousand bears remain on bile farms, public awareness campaigns by Animals Asia are creating change. A poll by the organisation in 2011 found that 87 percent of the Chinese people interviewed disagreed with bear bile farming. In response to widespread criticism of the practice, thousands of traditional Chinese medicine doctors are moving away from prescribing medications made from bile and are now selling herbs or a synthetic version. And in a move that highlights a monumental shift, China’s government is now providing millions of dollars of state subsidies for research to create alternatives to bear bile. Jill’s life changed after being touched by an imprisoned bear. Today, she is an inspirational leader – uniting people across cultures to follow their own hearts and move forward with compassion. Jennifer Skiff is the author of Rescuing Ladybugs and an award-winning journalist who has traveled the globe as a correspondent for CNN for more than a decade. She is passionate about animals and their welfare, and serves as a trustee, adviser, and spokesperson for charities around the world while working with lawmakers to create positive change. Find out more about her work at JenniferSkiff.com. Excerpted from the book Rescuing Ladybugs. Copyright ©2018 by Jennifer Skiff. Printed with permission from New World Library.